Sanitary floating ball valve is a series of Sanitary Ball Valves.It is Made from excellent material, high temperature resistance, rust resistance and anti-aging, has a long service life. It is friendly to environment because of it is Safe and will not release any toxic substance. G1-1/2 (DN40) Thread: This float valve adopted G1-1/2 thread that is normally used, can fit many pipe connection. Hygienic float ball valve is Strong Tightness for Design with a rubber gasket for better sealing and makes sure no leaking. It is Widely used in water boiler machine, rice steaming machine, water tank, water tower, toilet cisterns, etc. Sanitary float ball valves could be fabricated as per client's requirement and drawing. We have other Sanitary Valves maybe you like:Sanitary Butterfly Valves, Sanitary Check Valves, Sanitary Sampling Valves, Sanitary Pressure Relief Valves. 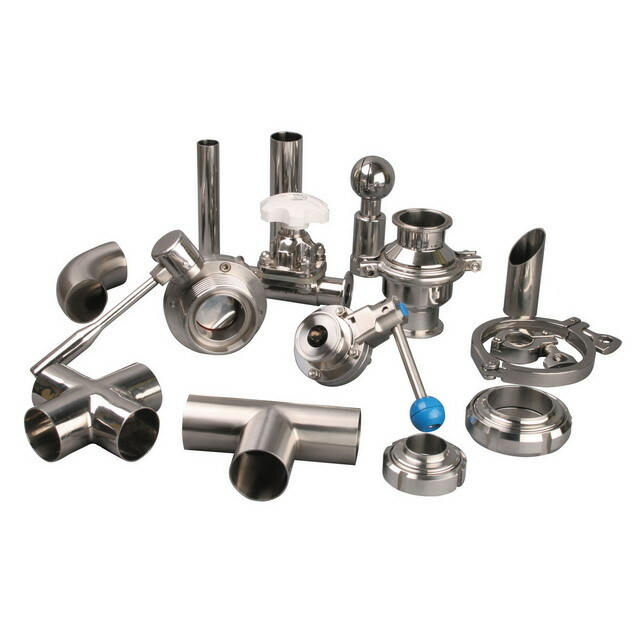 If you have Sanitary valves need, please contact us for details. Looking for ideal Sanitary Float Ball Valve Manufacturer & supplier ? We have a wide selection at great prices to help you get creative. All the Ball Float Valve are quality guaranteed. We are China Origin Factory of Hygienic Ball Floating Valve. If you have any question, please feel free to contact us.